My card this time was made using a couple of scraps of coordinating paper that I coloured with distress inks and stamped/heat embossed to add interest. 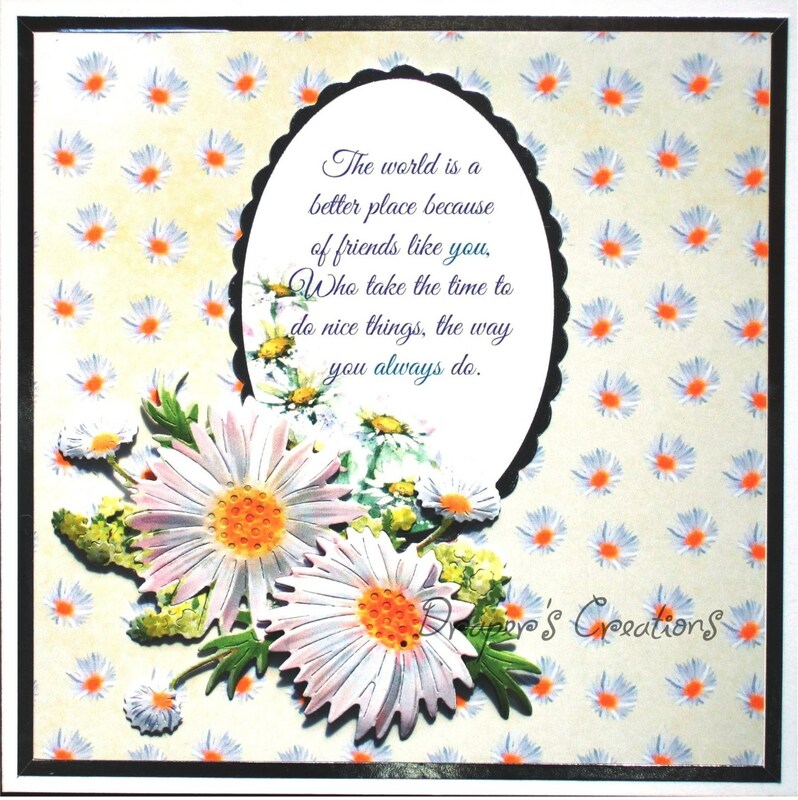 The flowers were made from the same paper and the sentiment was a Woodware stamp. 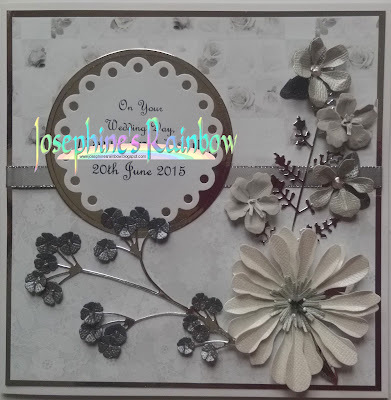 I made a card for a friend to give to her mother when she got married recently. 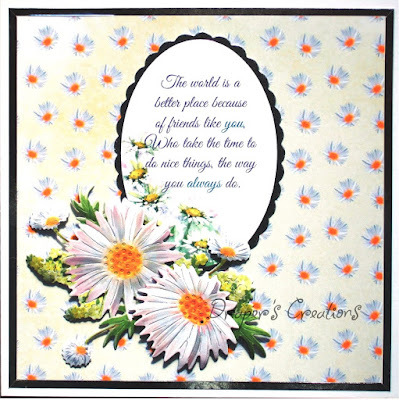 I've used lots of die cuts and papers from my Ivory Cats and Flower Power CDRoms, as well as a computer generated sentiment. 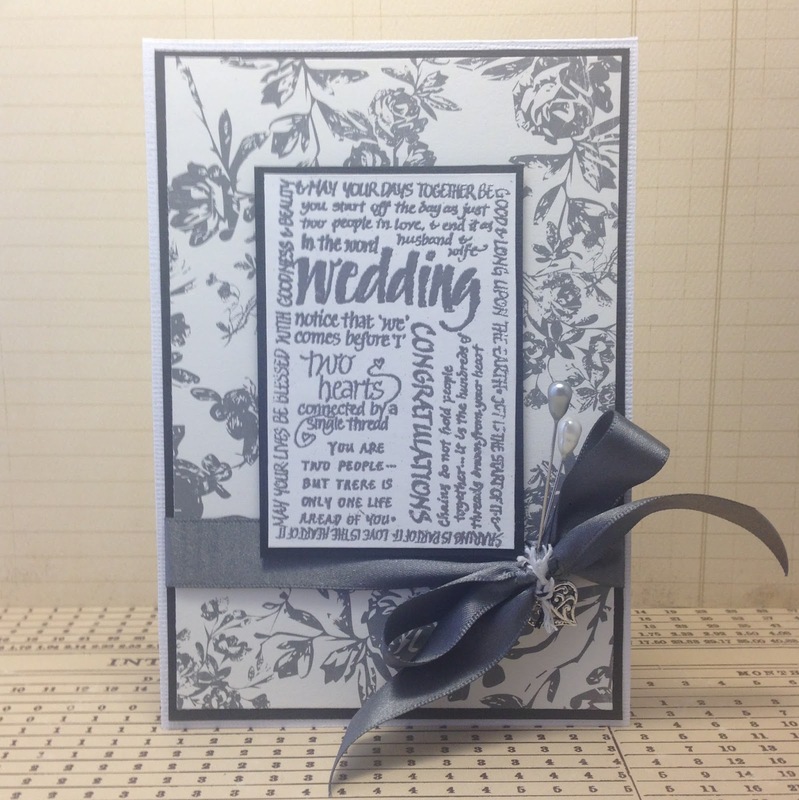 Both the papers had a colour originally, but the theme for the wedding is silver/white so I removed the colour before printing. 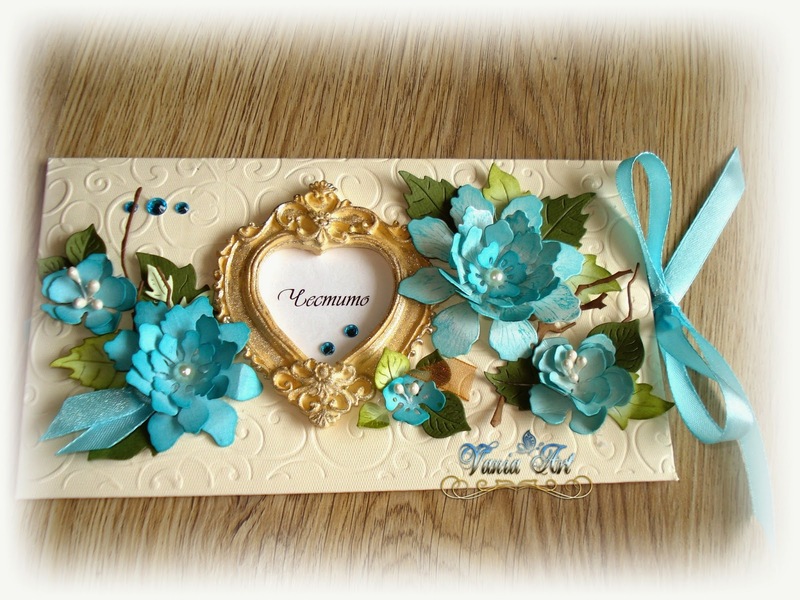 Envelope for wedding in turquoise color.The frame is handmade .For flowers I used 2 of my favourite cutting dies . 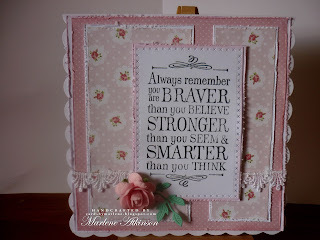 I used papers from Tattered Lace and a sentiment from Kanban Crafts to make this card for a friend. 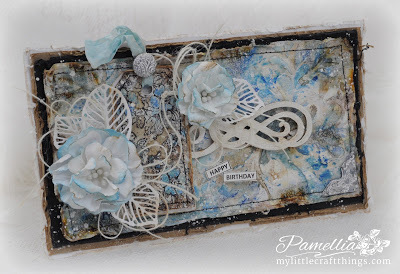 I have put together a birthday card for a friend of mine using lots of layers and some Gesso for texture. I sprinkled some Brushos on the layers blending them together, helping the sentiment stand out from the background. 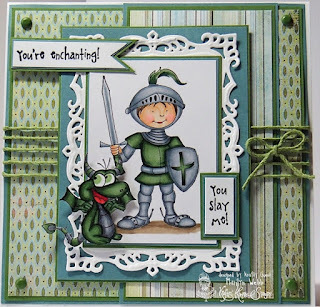 Using Die'sire Create a card and Prestige Dies. 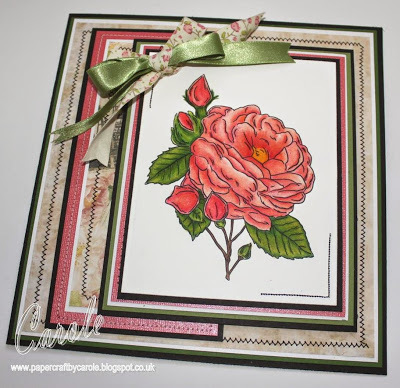 I have used a stamp I bought in a box set (just for the box!) 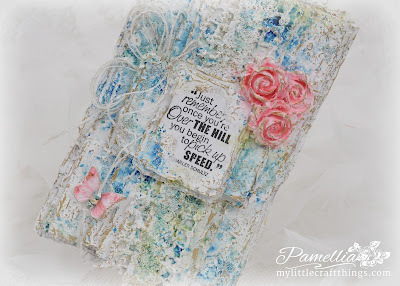 and used the "rock n roll" technique with different inks. 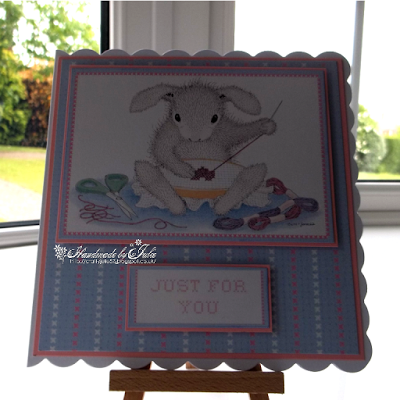 The papers are from Bo Bunny. 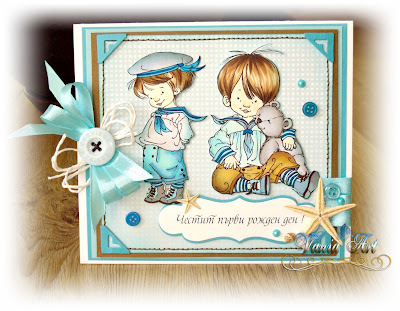 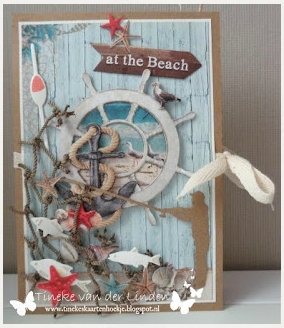 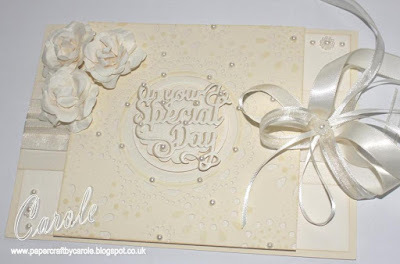 I have made a cream on cream card using a Die'sire Create a Card die, and Only Words sentiment. 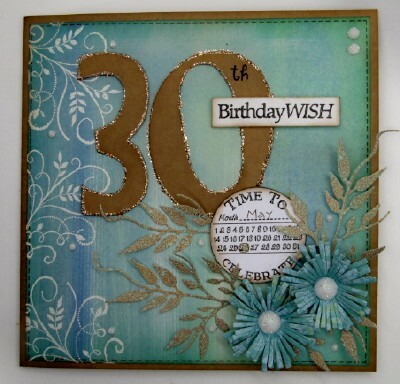 I created a special birthday card for a friend at work using some die cut numbers and Birthday sentiments. 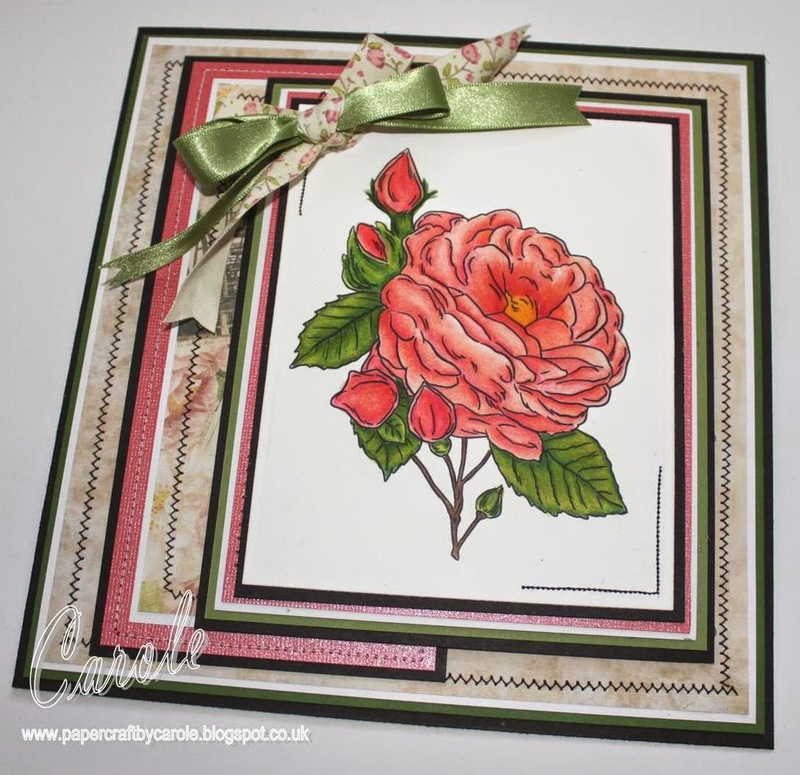 For my card I have stamped some flower images to make a frame for my sentiment. 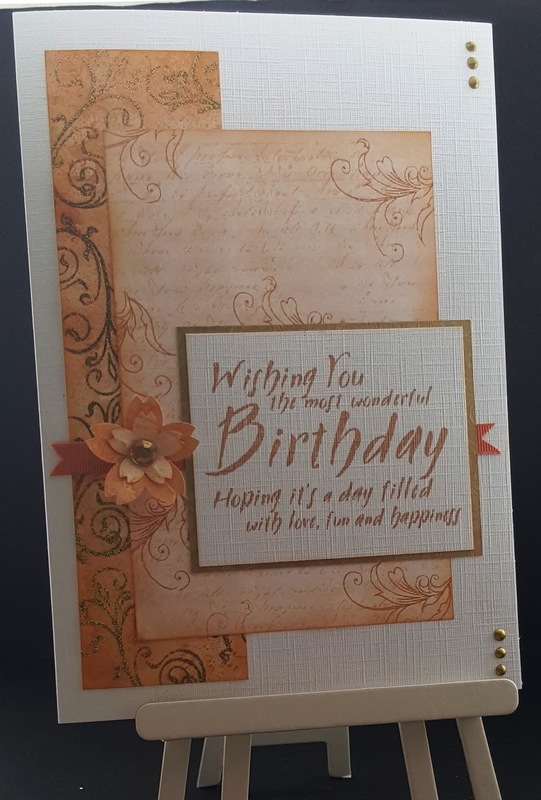 My card today was an exercise in using up scraps of paper left over from other projects to make the background, layered onto a plain cream card base with a stamped topper and sentiment. 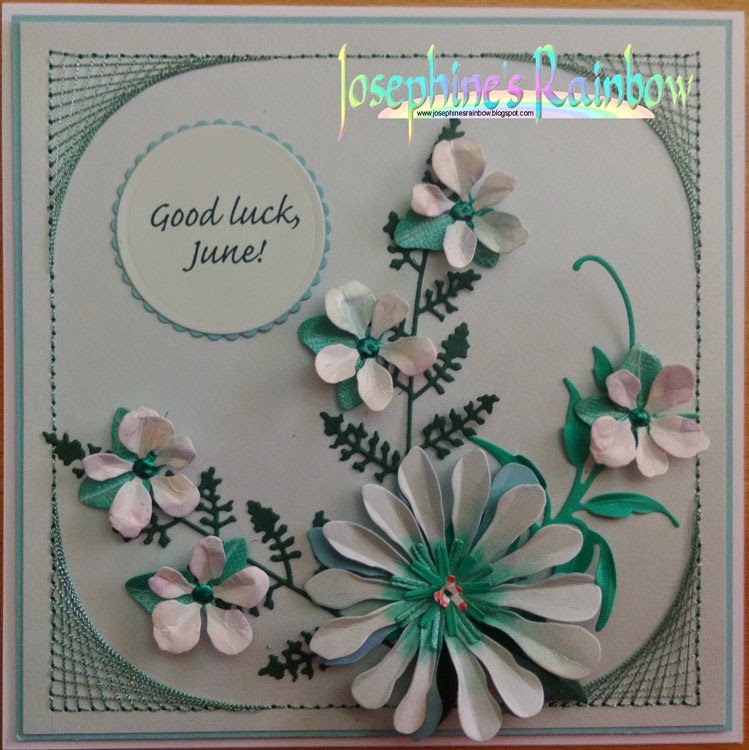 I've made a card for my brother-in-law using a Crafter's Companion CD - Diary of an Edwardian Lady. 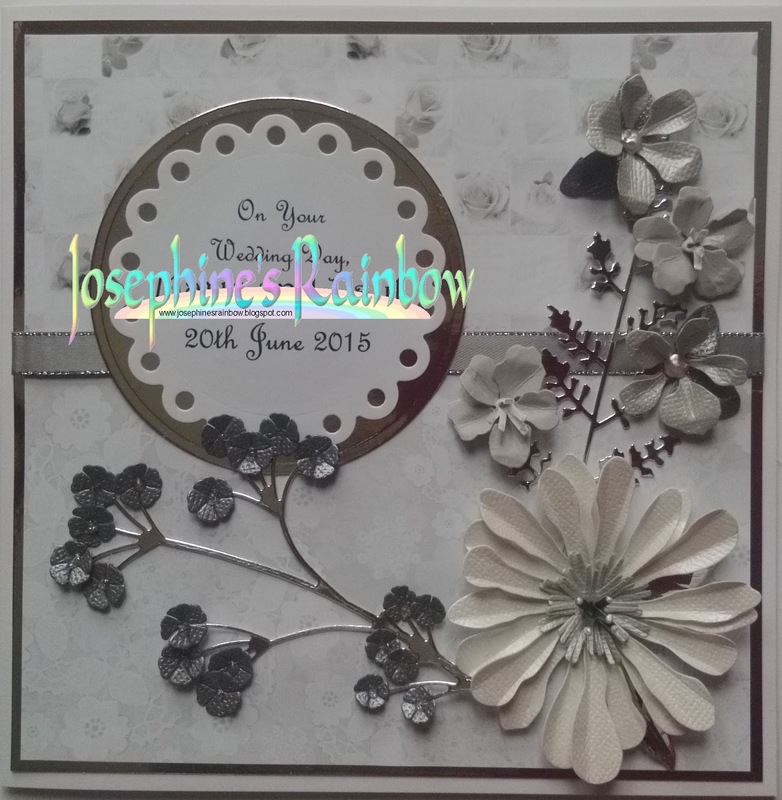 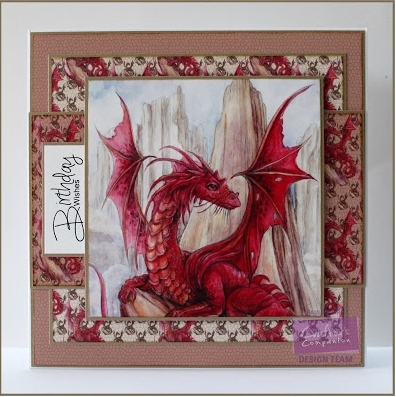 I've combined various elements from the CD and added some personalisation and matting to complete it. 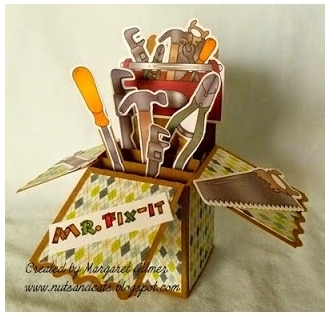 Nothing complicated, but the men in this family prefer it that way! I made this for my car crazy stepson with a Kanban topper, and a Darice Embossing Folder. 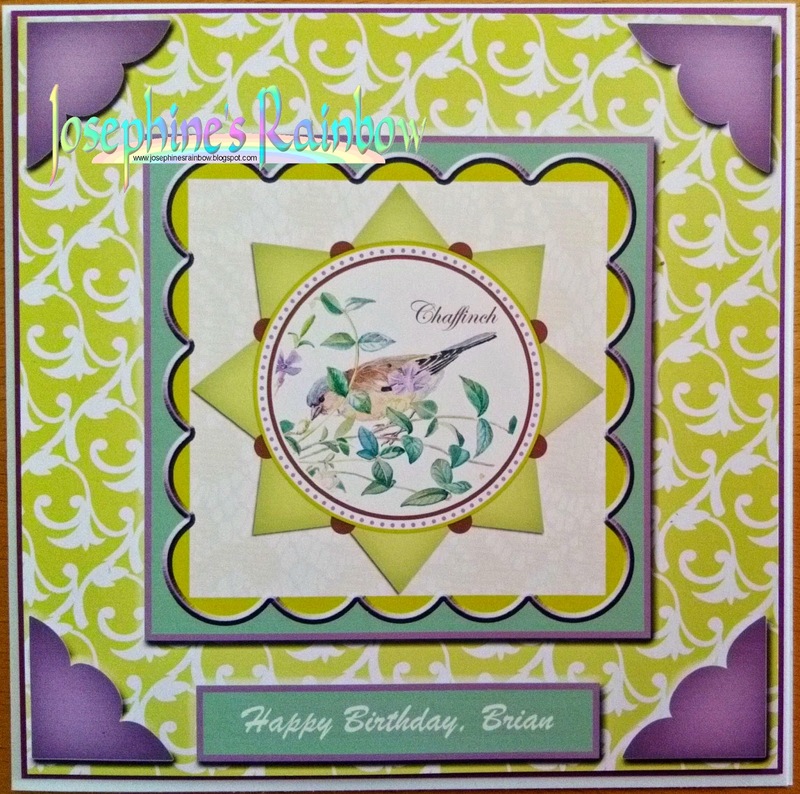 I used free papers from an old magazine and a digi stamp from Make It Crafty to make a card for my niece's husband's birthday. I tried to make the old car look a bit tatty by fading out my colouring, and rusty by flicking brown shades over the coloured image and lightly blending. 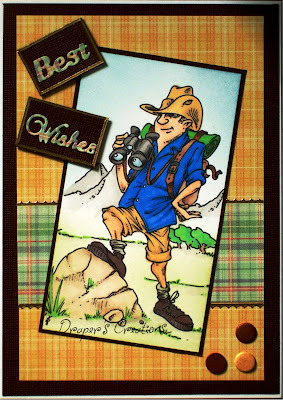 With Father's Day right around the corner, I have put together card for my Father-in-law. 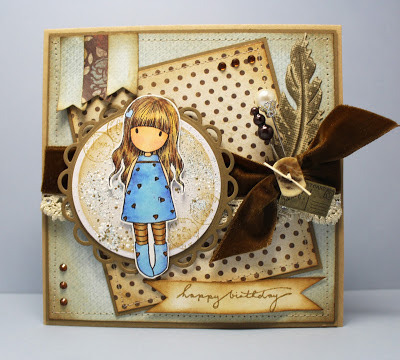 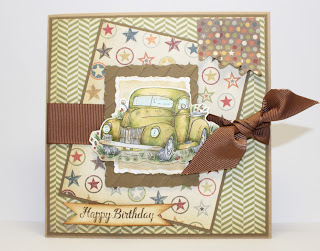 I have used dark neutral tones with distressed tags, lots of layers and rustic textures to create my masculine card. I have made a card for a little boy using this cute image from The Greeting Farm. 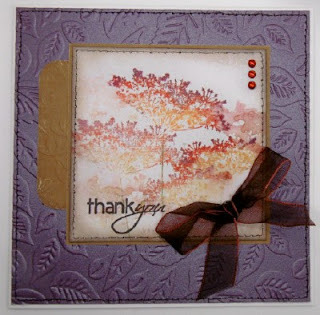 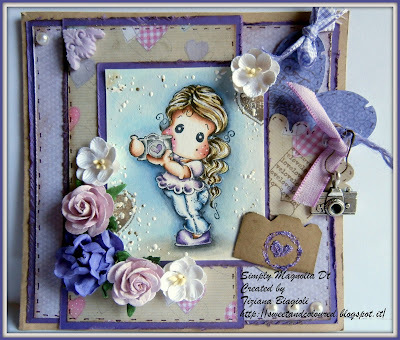 Together with papers from Teresa Collins and a flair from The Flair Studio. 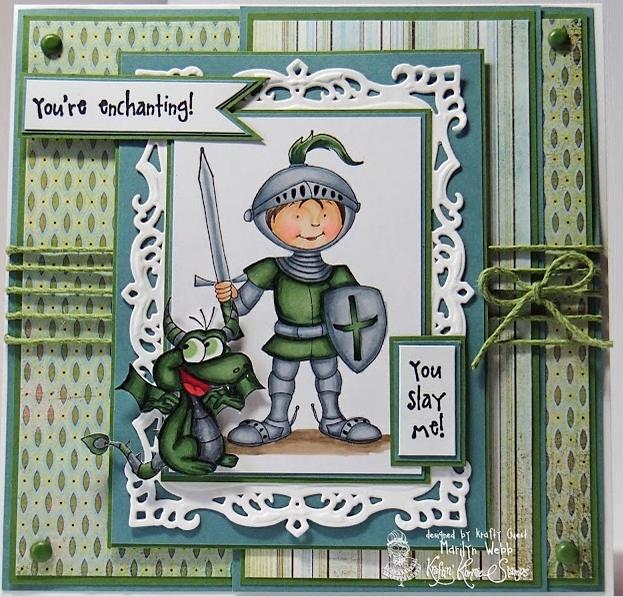 Coloured with Copics. 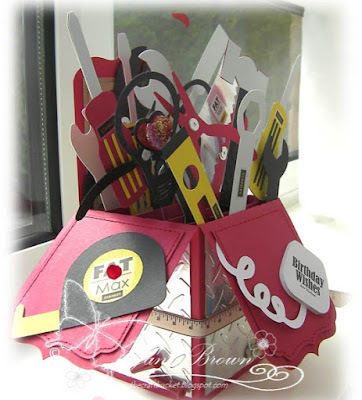 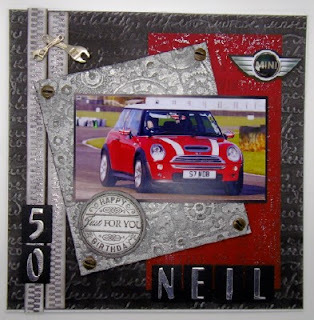 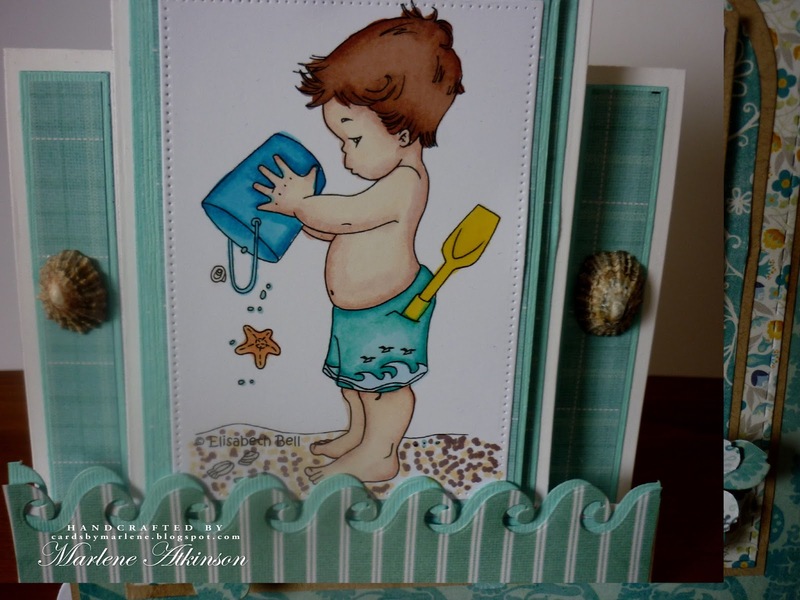 I have used a variety of stencils and embossing folders to create my Handyman themed card. Even the tools themselves have been made by drawing through the stencil and colouring. 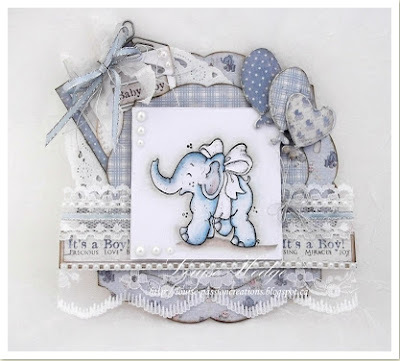 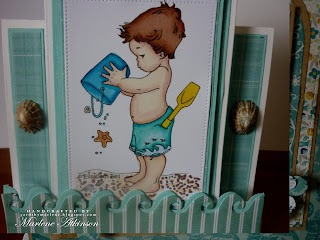 This card was made for a friend to give her Son. 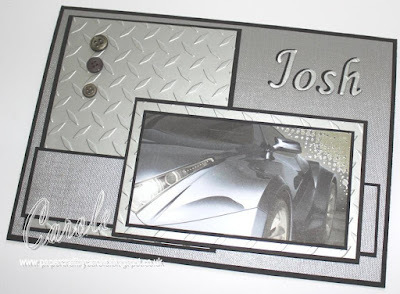 She provided the picture of his car, and left the rest up to me. 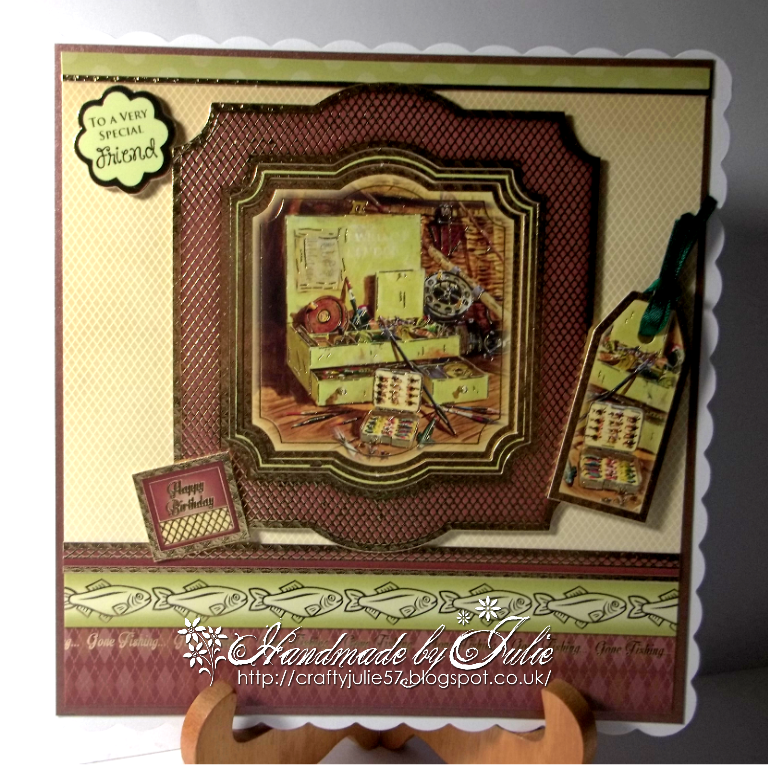 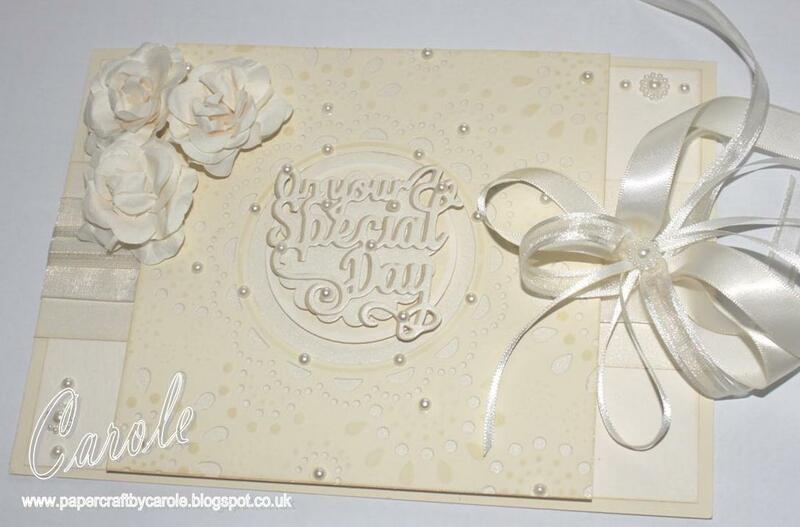 I simply adore all the details on this card, from the lace to the hessian and the die cut, it's such an elegant card! The stitching is perfect to frame each element. I really liked the freestyle stitching on this card... I've never been able to get my freestyle stitching looking like this, so thank you for giving me the inspiration to try again! 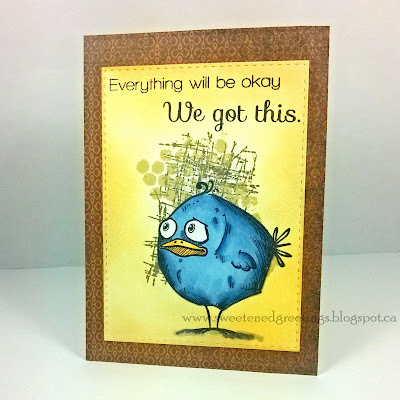 This card really caught my eye, I love that bird! 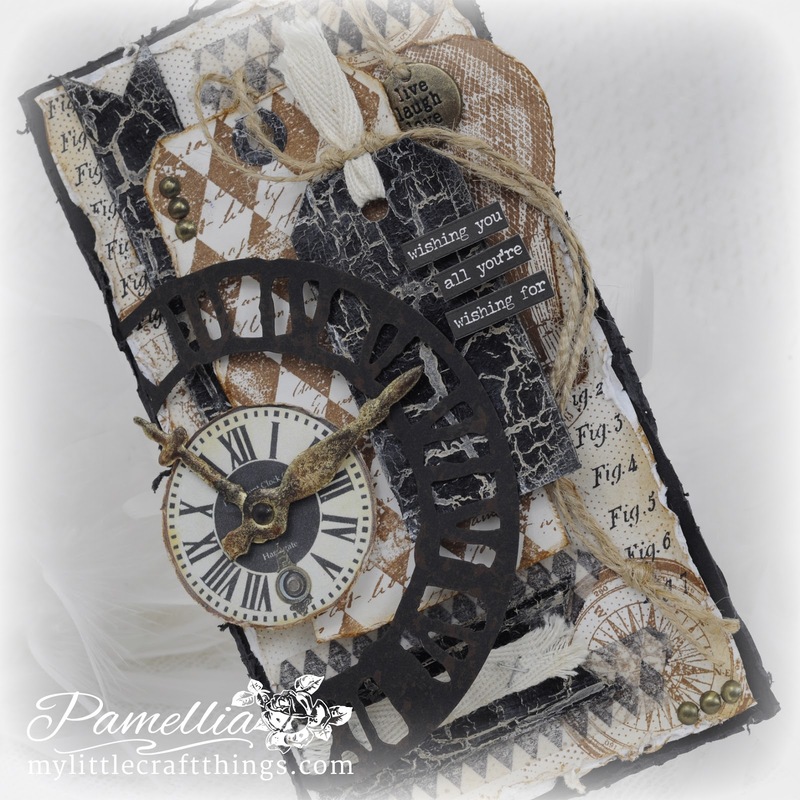 This card just knocked my socks off, I love this image, and the distressed steampunk vibe, perfectly accented by some great stitching. 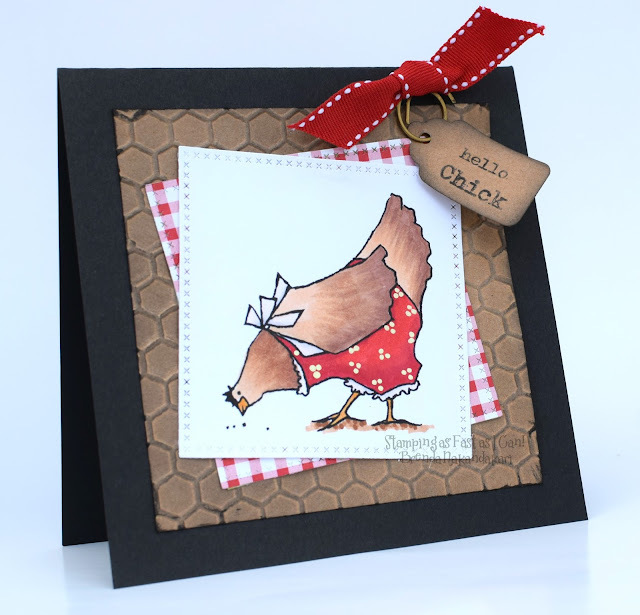 Also love how some areas have not been stitched, another idea added to my must try list! 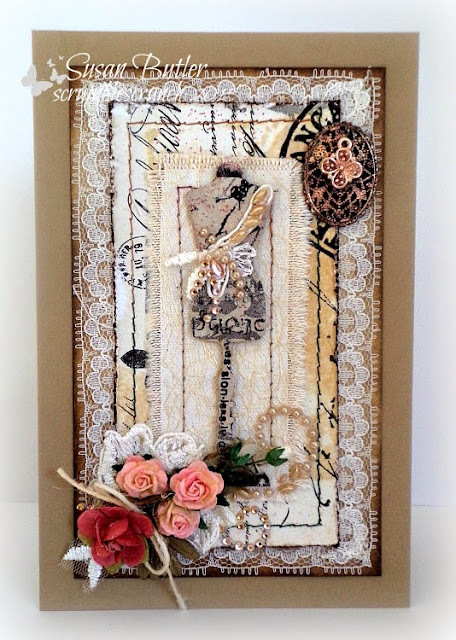 Love the faux cross stitching on this really striking card, love the use of the embossed panel too, which is perfect for this image! 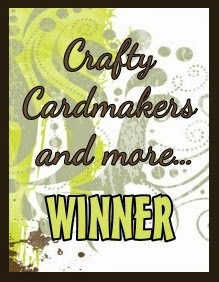 Don’t forget to join us back here at 12 noon for our new challenge. 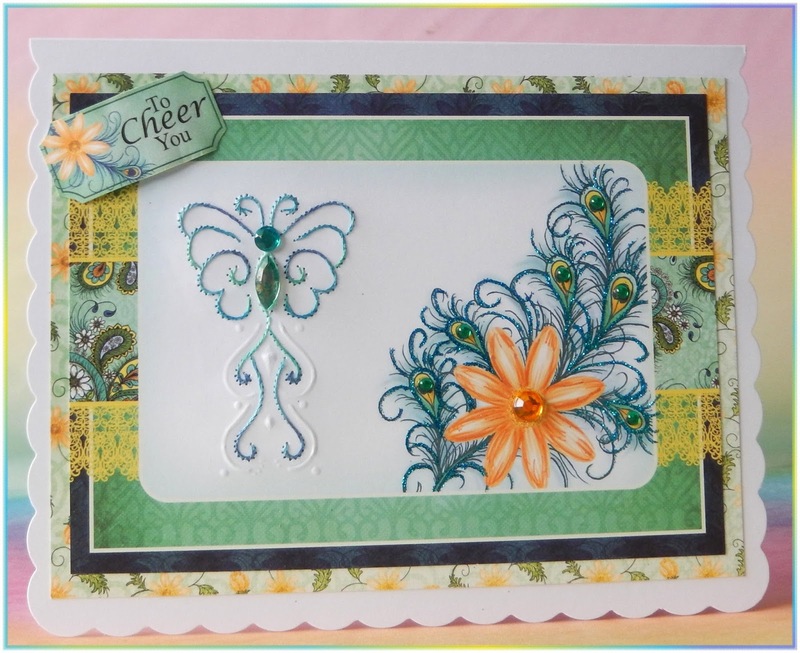 I love stitching on my cards, and generally use my sewing machine to do so. 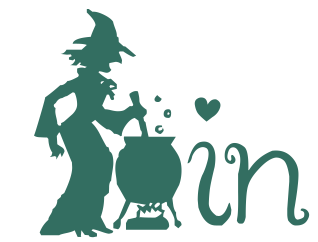 It's an easy way to add another layer of interest to lift your card to something very special. 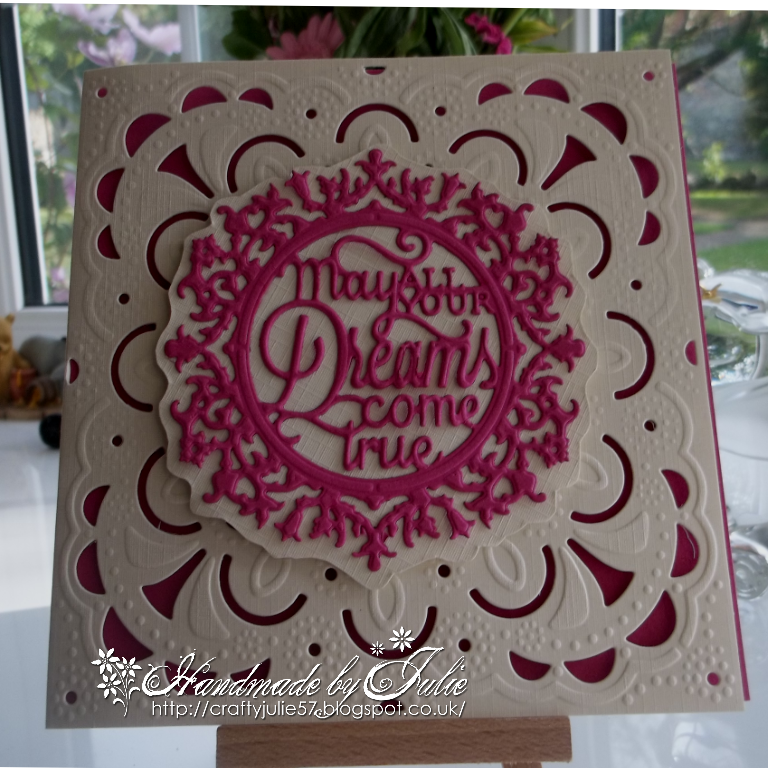 You can use complimentary or contrasting coloured threads, but I really recommend trying machine embroidery threads as they have a lovely sheen. 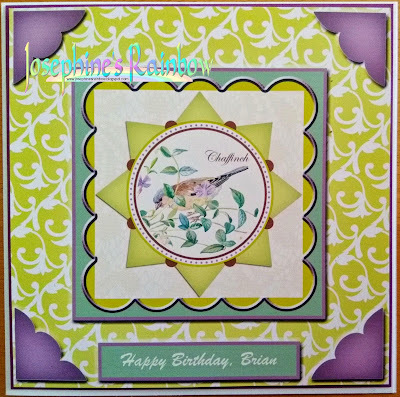 I pricked around the edge of my card and first backstitched the layers together, and then I added a frame in the same shimmery green thread. 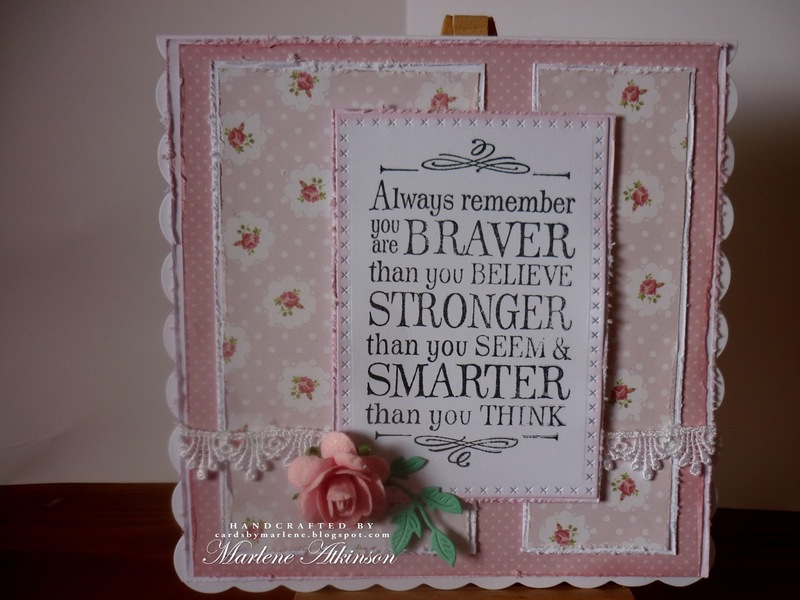 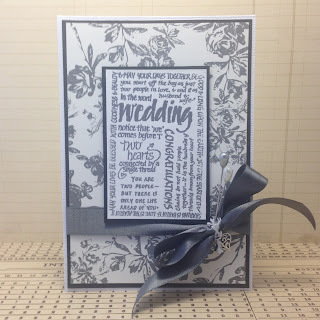 The flowers are hand-made using Sizzix dies, and the sentiment is computer generated and cut using Spellbinders dies. I used design paper which had faux stitching on it and also added some faux stitching to the boot that the house mouse is sewing. My stitching is done on a machine, and has been used to give some interest to the matting and layering of my Vintage Floral digi image (coloured with Spectrum Noir pens and pencils). 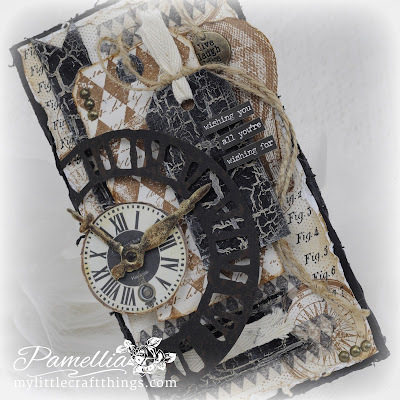 I decided to use real stitching to outline my main panel and my little Tim Holtz tag. 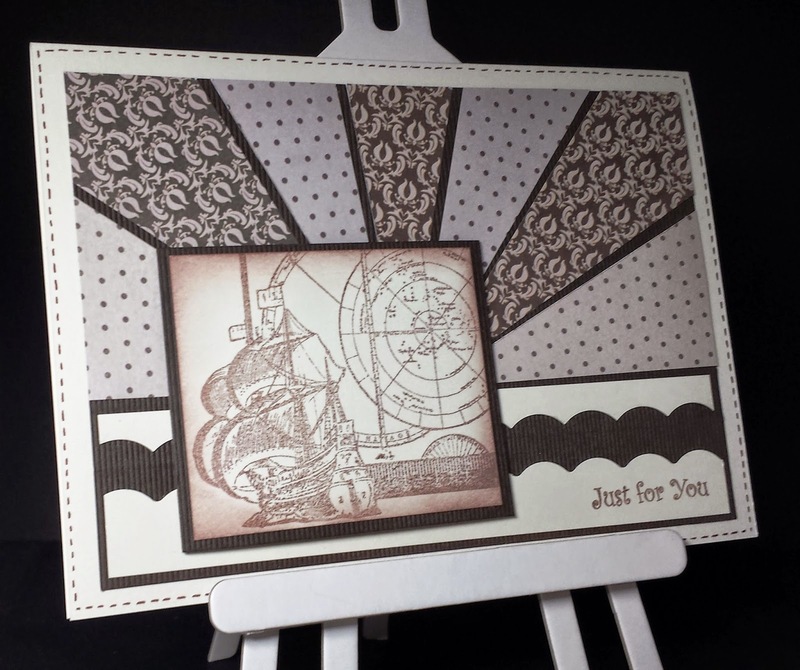 Some black thread creates a lovely border and adds a little interest and contrast. 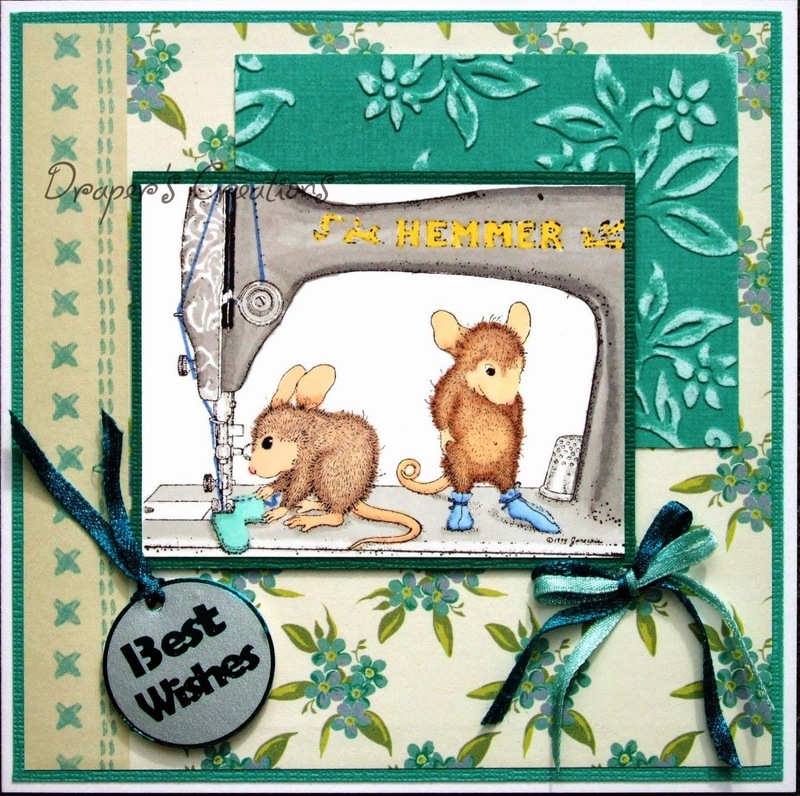 I have used House Mouse Happy Hoppers with Faux Stitching. I have used Faux stitching on my Thank You card. I have done some Cross- Stitch around the fame on my card, which also uses some stamps and patterned papers.